The Football Physio | The latest in football, health and performance..
Two clean sheets on the back of two gritty defensive performances for Arsenal is a massive boost for suffering Arsenal fans. Consecutive 1-0 wins Stoke and Sunderland have gone a small way to answering Arsenal’s critics about their ‘soft’ nature in defense. One person who may not be so thrilled about the positive turn around is Kieran Gibbs who has been watching on from the sidelines as new signing Nacho Monreal has slotted in seamlessly at left back. 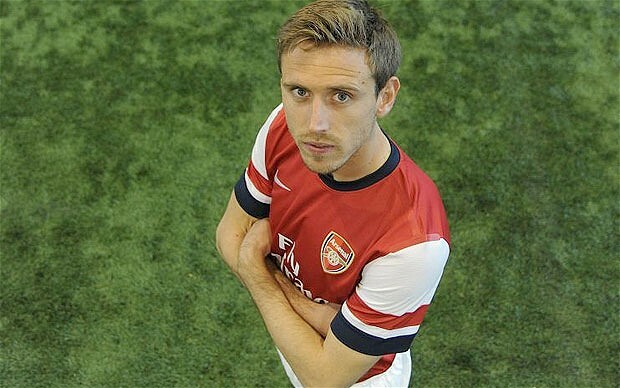 In Monreal, Wenger looks to have found the answer to the Gunner’s left back woes. Arsenal got the Spanish international on a cut-price deal due to Malaga’s financial woes and even after only 2 games, it looks to be a very astute investment from Wenger. Arsenal has struggled to replace Gael Glichy, with a series of tried and failed replacements since. Gibbs has done an acceptable job but his inability to stay fit is a major concern and his poor spatial and tactical awareness has let the back four down on a number of occasions this year already. Thomas Vermaelen has also deputised out wide for the Gunners but the classy centre back looks lost in wide positions and seems to play more attacking in the middle rather than out wide. Which leaves poor old Andre Santos. Gunners fans breathed a sigh of relief with Brazilian side Gremio signing the ‘flop’ on loan for the rest of the season. Santos just looked off the pace from the start and not equipped to handle the Premier League. So many times opposing teams have been able to expose Arsenal down the right flank and his shirt swap with Van Persie at Old Trafford this year really summoned the end for the Brazilian. But in Monreal, Wenger has found an attacking minded wing back who doesn’t neglect his defensive duties. Strong in the air, a great crosser of the ball and a player that knows where he needs to be in relation to his back four. Too many times this year Arsenal’s back four have held their hand up for offside, only to see Gibbs, Santos or Sagna lagging behind. Monreal looks tactically aware and looks very much at home with Arsenal’s slick passing game. Monreal looks switched on every minute and with the Spanish connection starting to build at the Emirates, the Gunners might yet still challenge for trophies sooner rather than later! Many people wrongly assume that pain during cycling is an inevitable consequence of cycling. As a result, many people avoid riding because it has always resulted in pain, discomfort and the aggravation of injuries. However what most riders don’t realize is that problems can often be eliminated by simply reassessing the setup of the bike and retraining your riding posture. The most important point to remember is that every rider has different needs and goals therefore the ‘optimal riding position’ varies between riders. For example, the seat height for a flexible elite level cyclist will likely be higher than for a recreational cyclist with a history of lower back pain, but both cyclists may benefit from gradually raising their seat height as training and treatment increases their flexibility. To identify an individual’s ‘optimal riding position’, a thorough assessment of posture, strength, flexibility and core stability is required. Then basic recommendations can be made on adjusting the seat, handlebars of general spinal posture. A full assessment of ankle range can be helpful as well, especially if the cyclist is experiencing lower limb pain. 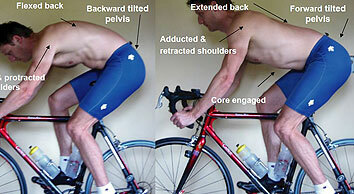 Core Stability is essential for cycling posture, especially the sustained forward lean of the rider. The most efficient riding posture places minimal weight on the rider’s hands, arms and shoulders. Poor riding positioning along with inadequate core stability mean cyclists will struggle to sustain the correct forward lean angle and pedaling technique. Flexibility allows the cyclist to be both powerful and comfortable on their bike. Specific stretches can enhance your ‘optimal riding position’ and has been shown to aid recovery from exercise soreness. 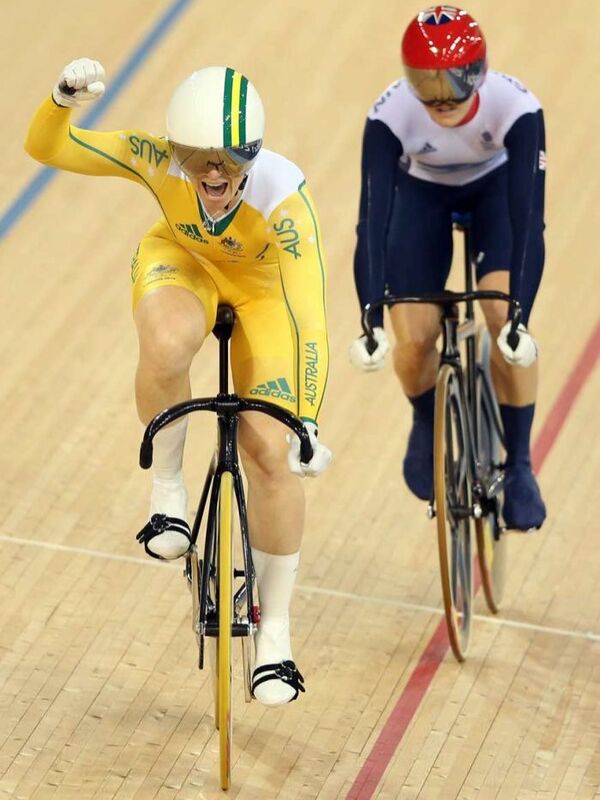 Pedalling Technique is also an important part of assessing a cyclist’s ‘optimal riding position’. The ideal pedalling technique consists of both legs producing constant and equal power throughout the pedal cycle however this not usually the case. Knees should be tracking in line with the toes, aiming for symmetry for both sides. Physiotherapy would use a combination of hands-on treatment, core stability and flexibility and exercises and adjustments to bike setup. Q: My 12 year old son is asking me about starting weight training to get fit for rugby. I’ve been told that’s too early. When is it safe for him to start weight training? A: This is a really common misconception we hear all the time. The age-old myth that resistance training in pre-adolescent children will stunt your growth I exactly that, a myth!! There is no evidence to suggest that resistance training will have any ill-effects on your child’s health and it is definitely not age specific. The training itself is really quite safe, where injuries occur is after poor supervision, technique and poor self-control about loading. In fact, evidence shows resistance training in pre-adolescents can have functional strength benefits, especially on the sporting field. It is important to discuss the goals and expectations of the training with your son. 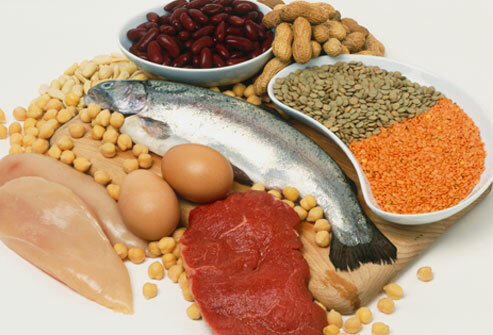 Prior to adolescence, it is very difficult to build significant muscle bulk. Until your son hits puberty and his body starts producing testosterone, he won’t be able to significantly increase the size of his muscles. However, he will be able become stronger and in better shape for rugby as the body will learn to recruit the existing muscles more efficiently! Learning proper technique is essential and a qualified professional should be present. The most common injuries with resistance training are muscle strains and are usually due to poor technique. If poor technique becomes a habit, more serious injuries can occur. It is recommended that low resistance is used until good form is second nature. Training should surround slow, controlled movements. Remember resistance training doesn’t need to involve weights. Body weight such as push-ups and simple equipment such as medicine balls can be good options for rugby. While strength training can be safe and beneficial, it should not replace aerobic activities like on-field sports or running. 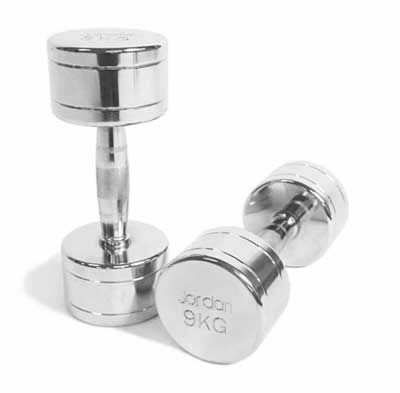 Overall, if your son wishes to begin resistance training, speak to a professional in health and fitness to working out a suitable, supervised program.